REDUCED!! OWNER SAYS BRING ALL OFFERS!!! This is the model you have been waiting for the "SICILY" MODEL. The builder only built 5 of these models. Upon entering the home you will see this huge GREAT ROOM , which can be a dining room and living room, 3 bedrooms, 2 baths, 2 enclosed Florida rooms and a Pergola plus a family room off of the kitchen. The kitchen has a brand new refrigerator and the other appliances are newer also. 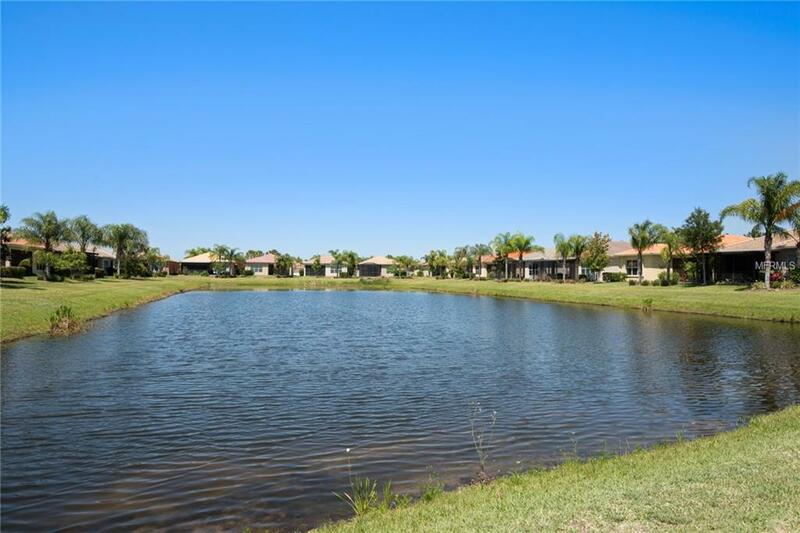 This home overlooks a gorgeous lake from all of the back rooms including the master bedroom. The 2nd bathroom has a upgraded step in tub with shower and jets. There are 2 walk-in closets in the master bedroom. The master bathroom has a decorator sink that is gorgeous along with a shower and roman tub. The laundry room is extra large with a washer and dryer The guest bath has upgraded cabinets and corian counter tops. There are tile floors throughout the home. The best part is that this home is in beautiful 'VALENCIA LAKES" with its over 40,000 square foot clubhouse with a 5000 sq.ft state of the art fitness center along with 2 aerobics rooms, loads of amenities for the active adult, pickle ball, tennis, bocce ball, shuffleboard, card rooms, billiards and much more plus a Bistro for breakfast , lunch and some dinners. This is definitely the "PLACE TO BE" and this home is a definite "MUST SEE"